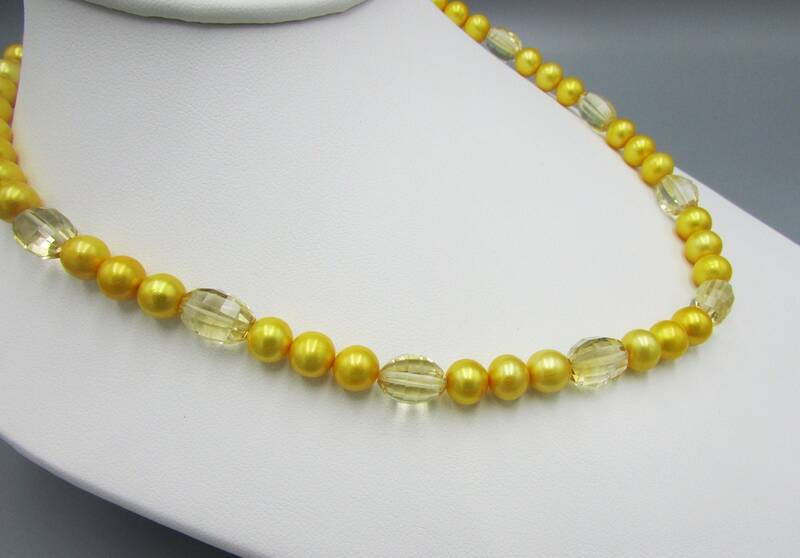 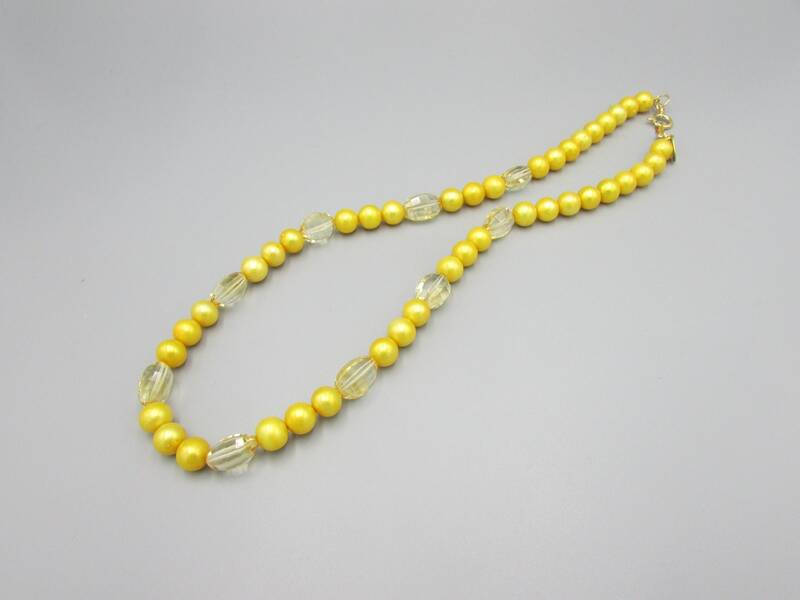 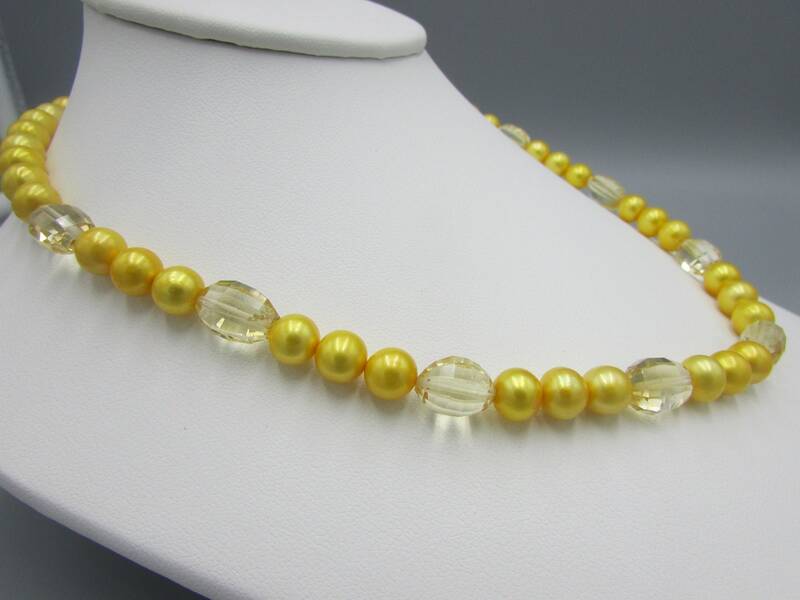 This gorgeous yellow freshwater pearl necklace is created with 8mm real pearls and added with large AAA faceted oval citrine gemstones. 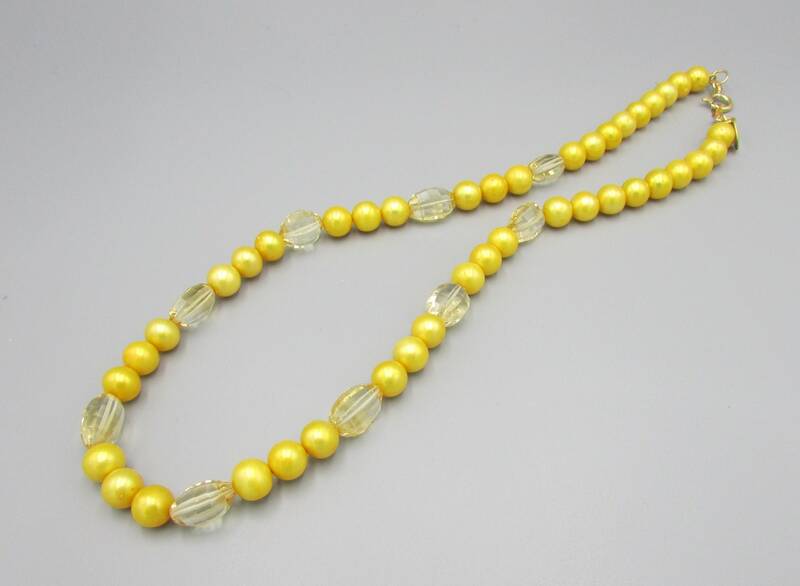 Finished with a 8mm 14kt gold filled spring clasp and 14kt gold filled findings. 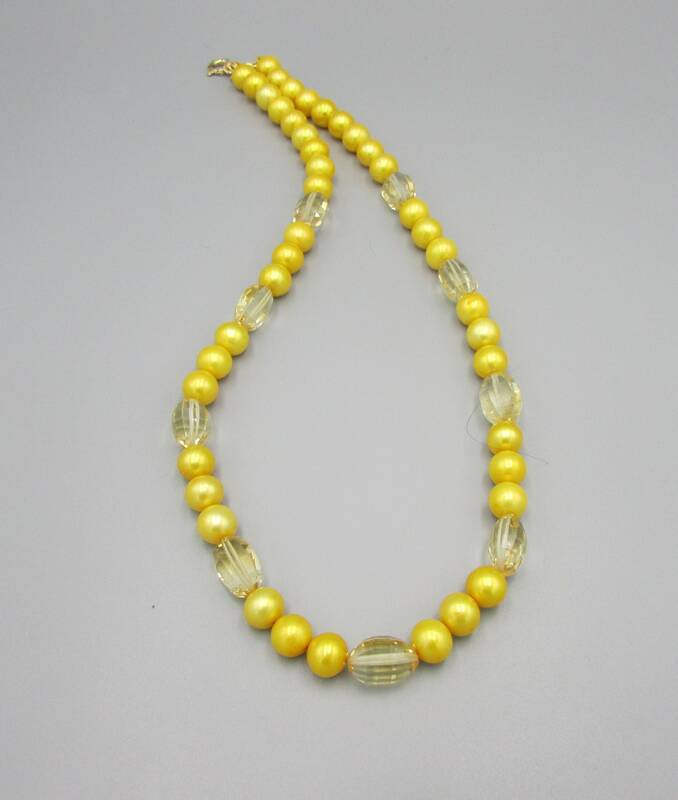 The length is 17 1/2 inches long. 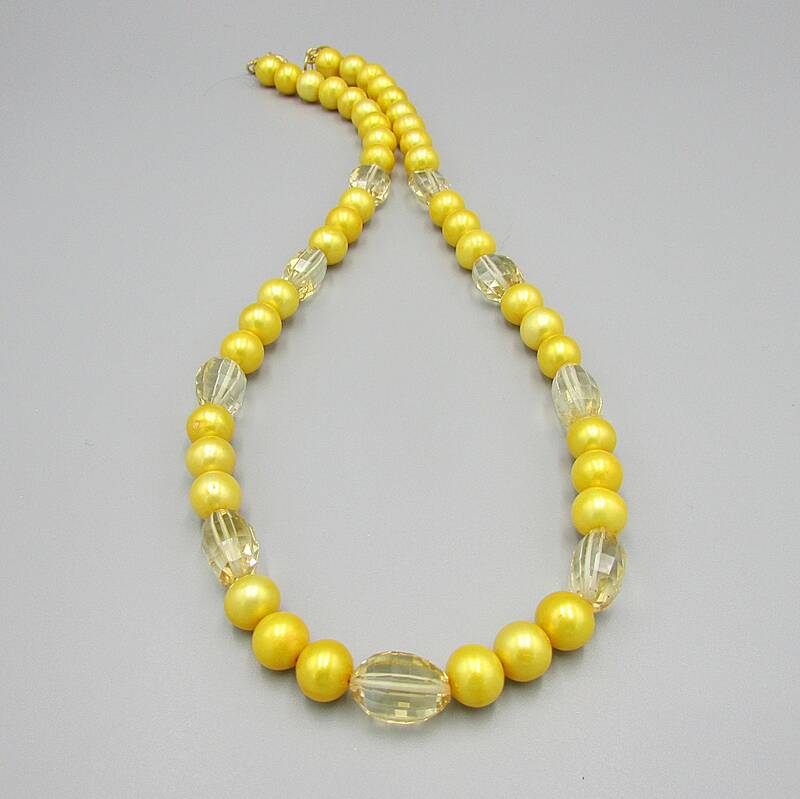 This unique yellow pearl necklace is definitely a show stopper and perfect for all occasions.